Pints up, CBBers. We congratulate Rogue Ales and Brett Joyce for doing the big work of promoting the entire craft beer industry. The Beer Institute board of directors recently announced the election of Joyce (Rogue Ales president) as its newest member. Joyce succeeds Brooklyn Brewery president Steve Hindy in the board seat. Joyce grew up in the Rogue brewery, which his father Jack founded when Brett was only 16. After graduating from Willamette University in Salem, Ore., Joyce worked with Adidas, building its international golf shoe business from the ground up. He returned to work for Rogue in 2006. His insights and knowledge of the business from the perspective of a small brewer will be a valuable asset to the Beer Institute’s mission of representing the industry in Washington, D.C. 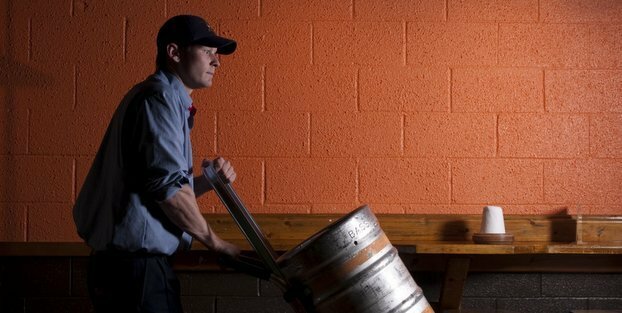 According to an economic study jointly commissioned by the Beer Institute and the National Beer Wholesalers Association in 2012, U.S. brewers and beer importers are the foundation for an industry that supports more than 2 million American jobs, directly and indirectly. Beer also contributed $246.6 billion to America’s economy and generated $49 billion in local, state and federal taxes.